common appliance makes and models. Appliance problems can be a major inconvenience. We can offer same-day service on most days — and by keeping our vehicles well-stocked, we can complete most appliance repairs on our first trip to your location. Our appliance repair technicians are thoroughly screened, carry insurance, and are EPA-certified, meaning they can handle even the most hazardous of appliance repair jobs. Service with a smile, guaranteed. We understand the importance of standing behind your work. If you have problems related to one of our appliance repairs within a year of our visit, we’ll schedule a second visit to resolve any issues at no charge. ASAPpliance Repair is a residential appliance repair company serving the Dallas / Fort Worth metro area. Founded by veterans of the appliance repair industry, we run a customer-focused repair service with minimal overhead to keep costs down. We believe that providing high quality, long-lasting repairs and a fantastic customer service experience is the way appliance repair operations should be run. 1. Skilled & trustworthy technicians. Our technicians are trained to work on all major appliance makes and models. 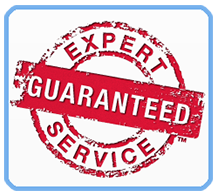 Each technician is EPA-certified, meaning we can handle even the most hazardous of appliance repair scenarios. Lastly, our technicians undergo background screening and carry insurance for your peace of mind. 2. Industry-leading customer service. Our goal is to make the appliance repair experience simple, straightforward, and painless. Nearly all of our calls are answered within 4 rings and you’ll never have to deal with annoying call menus or extended hold times. 3. Same-day service. Household appliances have become a part of our daily lives, and when they fail it can be a major inconvenience. When you call before 3pm, we can provide same-day service in most cases. We also provide emergency service for refrigeration failures and other emergency scenarios. 4. 3-hour appointment windows. When you book with ASAP, you’ll be given a 3-hour repair window and the freedom to go about your day. Our technician will call you prior to heading to your location, so you’ll know precisely when to expect his arrival. 5. Expert tips from industry professionals: Find our how to increase appliance lifespan and save on energy bills. 6. Straightforward pricing and warranty terms. Since our goal is to keep the appliance repair experience simple, we provide detailed pricing and warranty policies for all to see. ASAP provides residential and commercial appliance service for the Dallas / Fort Worth metro area. Our service area spans from McKinney down to Dallas, west to Fort Worth and up to Denton. 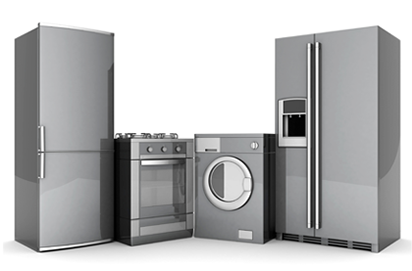 We offer repair services for all major appliances: dryer repair, washing machine repair, refrigerator repair, freezer repair, oven repair, stove repair, range repair, cooktop repair, and garbage disposal repair. Our technicians are experienced in working with all major brands, including Kenmore, GE, Whirlpool, KitchenAid, Maytag, Jenn-Air, LG, Samsung and many more. Notice: Our technicians currently do not work with microwaves, small appliances, trash compactors, or walk-in coolers. In addition, we currently do not provide service for the following brands: Asko, Dacor, DCS, Fisher & Paykel, Gaggenau, Manitowoc, Miele, Thermador, U-Line, Wolf, or Viking. Wanna learn more about our service? Check out what sets us apart from others in our industry.